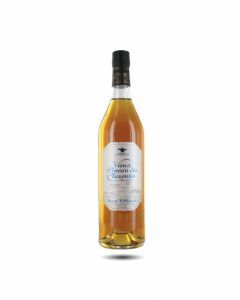 This is a French fortified wine made from blending Cognac with slightly fermented wine produced in the Charentes region. It is an aperitif served chilled. Legend has it that the drink was discovered by accident in 1589 when a grower poured cognac into a vat of wine and forgot about it. Not very well known outside of the Cognac, it can be made as either a red or white wine depending upon the local grape varieties which include for the whites, Ugni Blanc, Folle Blanche and Colombard and Cabernet Franc, Cabernet Sauvignon and Merlot for the reds. The alcohol level is between 16% and 21%. Aging, partially in oak casks, must take 14 months or for a Vieux version, five years and for the Très Vieux, ten years. Pineau is good served with foie gras or is a great wine to cook with.